The Kershaw Wild Turkey is a popular knife that has been around for a long time. Not only is it beautiful, but it also fits into the hand perfectly. 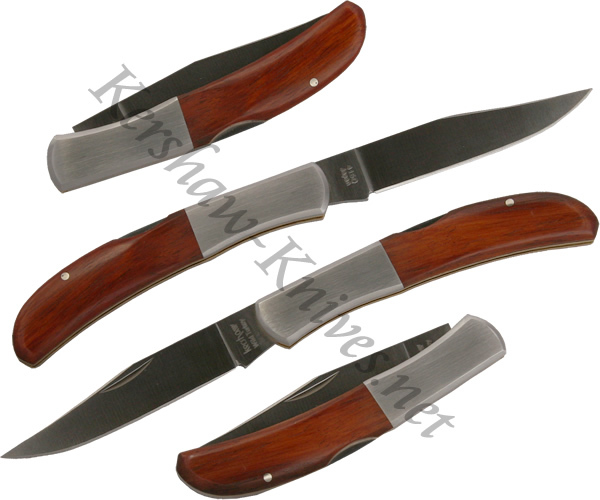 The handle is nice and comfortable thanks to its satin finished bolsters and rosewood onlays. When open the Kershaw Wild Turkey is a little over six inches long. Weighing only 2.2 ounces it will not tug at your pocket.